The week before it was all about the planning. Taking the girls ideas and feedback they’d given us last term and working out how we could do it this term. …and on then it was time to put the uniform back on for our first Guide meeting of the new school year. Our Young Leader is now an Adult Leader in Training, and officially made her promise at the end of last term. We weren’t sure if all the girls on our register would return, but all of them did. We’ve only got 12 Guides this year to start with, the Brownie unit that ‘feeds’ into our unit meets on a different night so we keep losing the graduated Brownies to a Guide unit that meets on the same night as them. We were also aware that some of the girls are hiting 14 (a few already have) and we’d noticed a couple of them beginning to show signs that they were feeling a bit ‘old’ for Guides, and others really not ready yet to move onto Senior Section. The only down point was when I mentioned that there was a new uniform – the words ‘there’s a new uniform you can now get in the Girlguiding shop‘ were barely out of my mouth before the girls who apparently have seen pictures of it started passionately yelling about it (not in a good way). Two of the girls have grown out of their uniform and were most upset when they heard they couldn’t get the old one anymore. I’m glad for those of you who have seen it in person and told me it looks better than it did in the pictures. I said that to them, told them it is a bit like the Senior Section one just different colours and that if still felt very strongly about it when they saw it in person they should give feedback to Girlguiding about what they’d like the uniform to be like. We did our Unit Guidelines, the girls have given me more ideas for the coming year and were really happy to find out that we’ve managed to organise a request they made at the beginning of the calendar year – to learn First Aid. We’re super excited to have a volunteer instructor from British Red Cross coming to teach First Aid to the girls for 3 evenings later this term. We’re going to be tying this in with a night just before Remembrance Sunday about what Girl Guides did during the World Wars. Next week the girls will choose their Patrol Leaders and Patrol Seconds and pick what Go For It, Challlenge or Badge they want to work on during Patrol Nights this term. The Guiding year has begun! 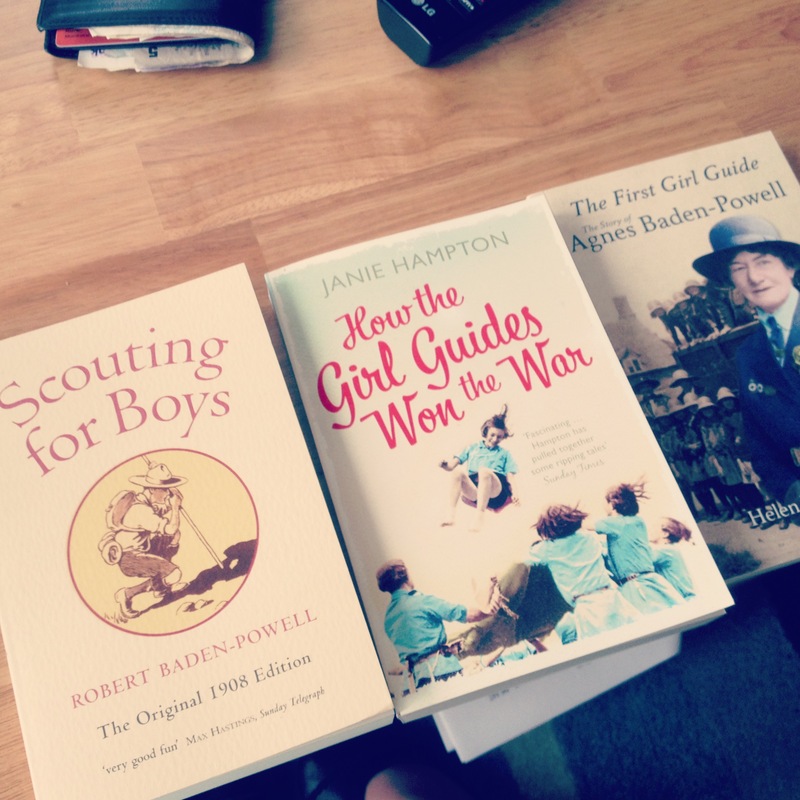 It’s not often one of your adult friends tells you (a woman in her 30s) to watch a children’s TV programme, but having been so inspired by reading a fantastic book last summer called How the Girl Guides Won The War by Janie Hampton, I was intrigued. A few days later, I was on BBC iPlayer watching the 3 part drama about Harriet and her friends. In the story Harriet is kicked out of the Girl Guides for fighting, just before the war breaks out and the Scouts and Guides volunteer themselves to help with the war effort at home. It was great to see this part of history being told, as this is what really happened. I really do recommend checking it out while it’s still on iPlayer, and there’s a special Harriet’s Army page on the CBBC website just now. There are also some great activities in the Summer 2014 edition of Girlguiding magazine to help your Rainbows, Brownies, Guides and Senior Section understand the sorts of things Guides and Scouts experienced during the World Wars. I’ve noticed a lot of leaders asking on facebook about starting a new Senior Section unit. Our struggles came from the fact that many don’t realise Senior Section exists and like Trefoil Guild seems to often get ‘forgotten’. So when it came to starting our unit, which began when five Guides approached me with the asking “We’re feeling too old for Guides, we don’t want to leave, but what can we do instead?” we began with no start-up fund, no idea about the programme a leader who had been away from Girlguiding for a almost a decade (and still had no access to Go! 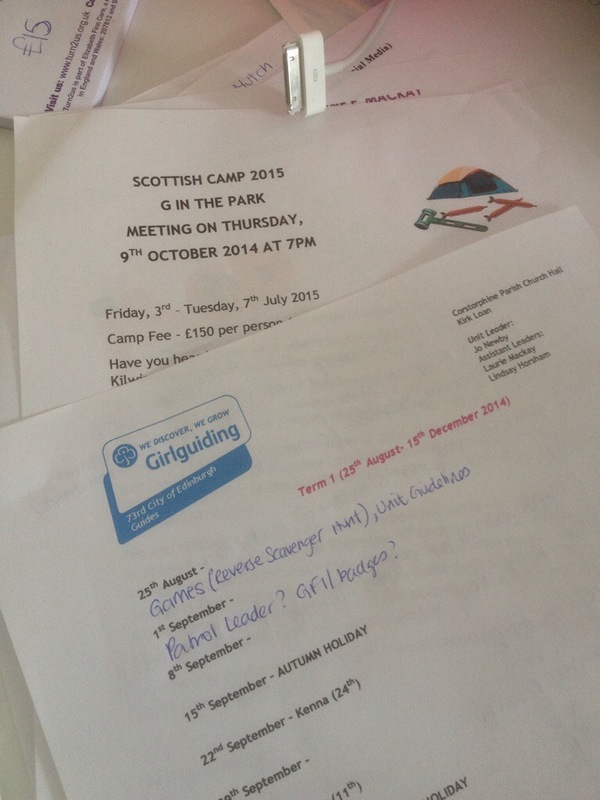 due to an admin/communication breakdown) and a leader who hadn’t been part of Girlguiding since she was a Brownie. However, we were all clueless together. We were brand new, and being the only Senior Section unit in the whole Division there was no precedent. I had thankfully been a Ranger and Young Leader myself at the turn of the Millennium, so I was at least able to tell them a bit about the sorts of things I’d done to give them an idea of what was possible. We split up the meetings by doing a ‘fun’ activity one week, and something from the Senior Section CD ROM the next week which is what led to a great long debate about the Guide Promise. Here was our first ever Term Programme (it’s not perfect, but it might help to get people started and give other members ideas of what they might like to do). December 12th – Trip to Christmas Market, making Senior Section Promise on Christmas Ferris Wheel. 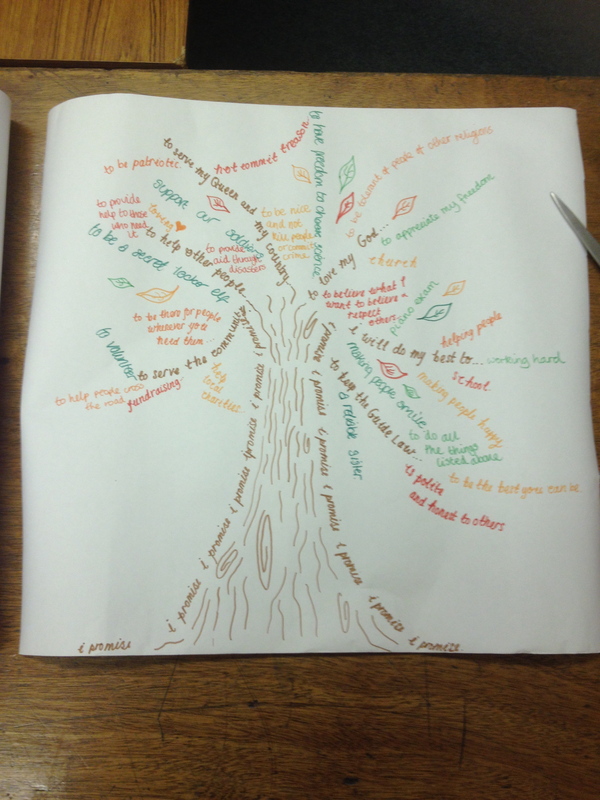 As each term came, the girls grew more confident in sharing ideas of things we could do. We also began to understand the Look Wider programme better, and I gave them each a Record folder to record their progress in each of the Octants. This would also inform their term planning, because they could see which Octants they needed to do activities for. We could then encourage them to come up with an activity to try at meetings together under the different Octants. and we have kept a scrapbook of everything we’ve done, which can count towards Phase 2 Creativity. The girls decided at the beginning of this year that they wanted to start a blog, in the hope that it might help other Senior Section members around the world to get idea of what you can do and share ideas. At the moment they’ve only got as far as setting up their blog. The content is still to come! I’m sure that the summer holidays are getting shorter. Or that time has been speeding up or something because I’m sure it was only last week that term ended and yet this week the kids in Edinburgh and Glasgow all went back to school. It’s been a fantastic summer with lots of free time to catch up with friends around Edinburgh, including my friend Holly. 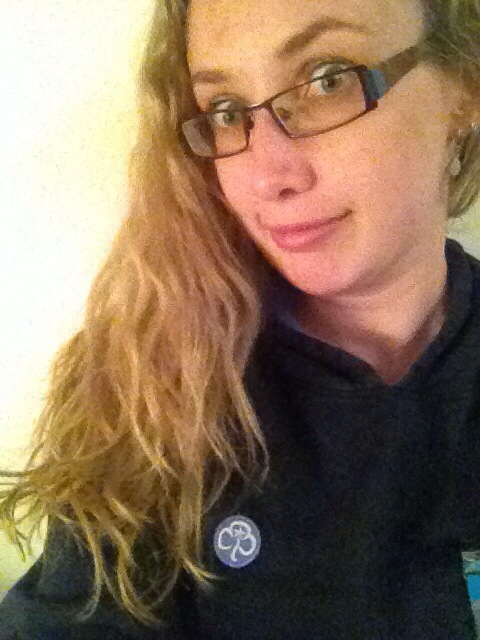 Holly used to be a Pippin leader in New Zealand and is now a Brownie Leader in England. 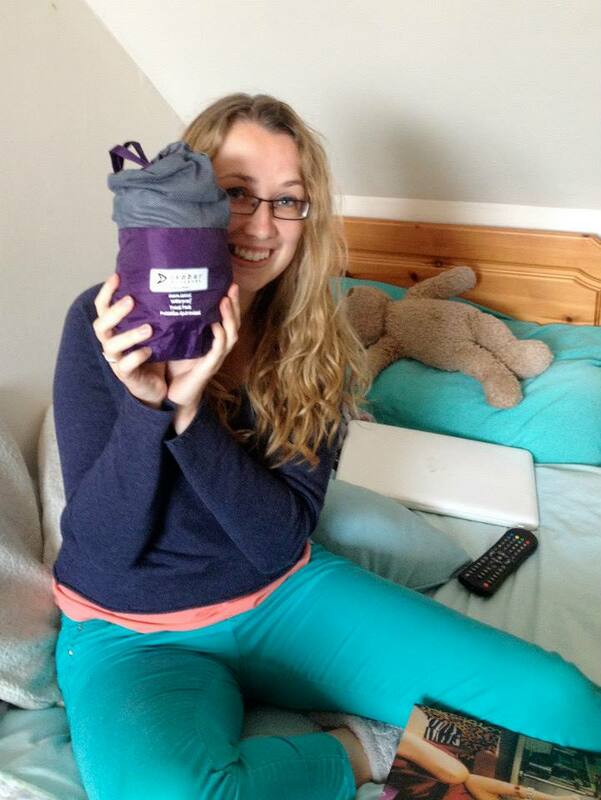 Holly had never been to the Edinburgh Festivals before, so she came up for the last weekend of the school holidays. Raincoats are an unfortunate necessity for the Edinburgh Festival – with lots of time outdoors and the crowded streets and wind making umbrellas a poor choice of accessory. The only problem was that Holly’s raincoat is meant to be one you can pack away into one of the sleeves of the jacket and no one had been able to work out how to do it. And yes, that’s possibly my proudest achievement all summer! I’m also an expert in getting sleeping bags back into stuff bags and clothes into rucksacks, and transporting band equipment into a Vauxhall Corsa. There’s also of course the announcement of the new Guide uniform that was made earlier this week which has been somewhat controversial. (Any other Girlguiding leaders find that their facebook feed exploded on Tuesday morning?) It’s not my opinion that really matters, as I won’t be wearing it. I’m pleased that they’ve made an effort to consult Guides, and I think the tops look great. The current (old?) Guide uniform I think was far too similar to the Adult leader uniform and several times I had parents thinking I was one of the Guides. I won’t lie, I think the skirt and dress aren’t great. The uniform design drawings made by Guides shown on Girlguiding twitter feed don’t really seem to resemble what has actually been produced. My other concern (which I can’t say for definite until I’ve seen the uniform in person) is that the material of the hoodies looks very thin. The old hoodie was already on the thin side and I worry the girls are going to freeze during the Guide meetings in the church hall which is on the cool side even in summer – never mind when we have to do things like stand at a Cenotaph on a frosty November morning! I have to wear a jumper underneath my leader hoodie to keep warm in winter already. And most of winter the Guides look like they aren’t in uniform because it’s simply not warm enough for them to wear. Hopefully though the hoodies will be all cosy and warm and my fears will be unfounded.